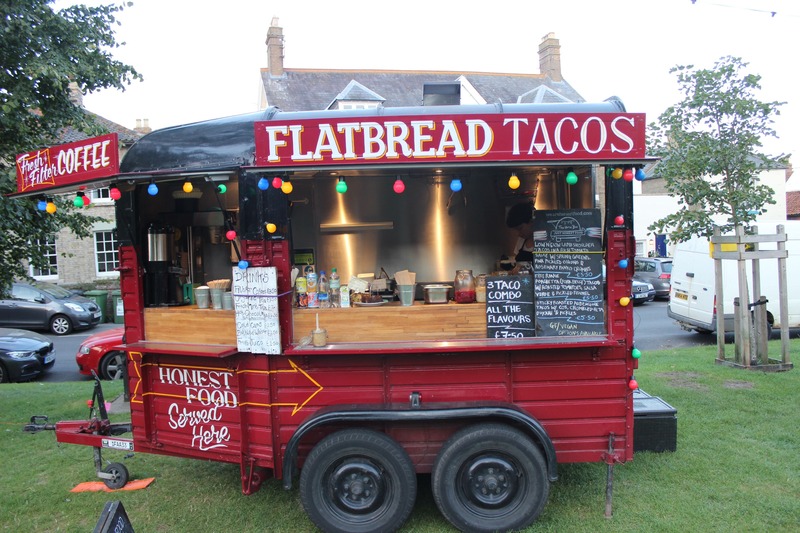 A firm Feast It favourite, The Horse Box specialise in handcrafted, organic flatbread tacos with a mouthwatering menu. They innovatively use organic yoghurt to make their tacos, which is why they have such a silky texture. 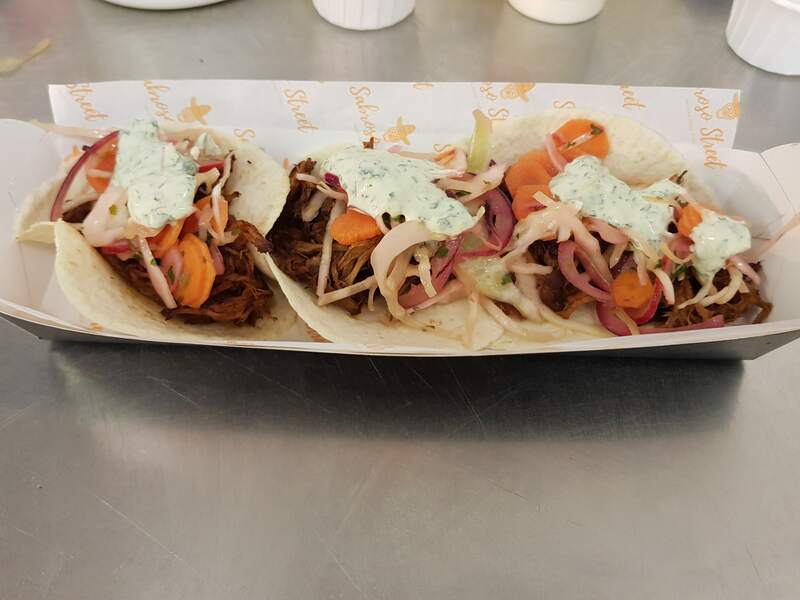 Thanks to the local and seasonal produce used to make The Horse Box’s tacos, they have enormous flavour. We especially love the Lamb Taco with spring greens, pickled onion and rosemary panko crumbs. Possibly one of the most innovative taco makers in the capital, Tacos del Rey hand make each of their gluten-free tortillas. The menu includes their decadent cheeseburger taco and their fried chicken taco, which comes with avocado crema and pickled pink onion. They make the ideal modern finger food, inspired by Mexican heritage, perfect for some late night sustenance at a wedding. 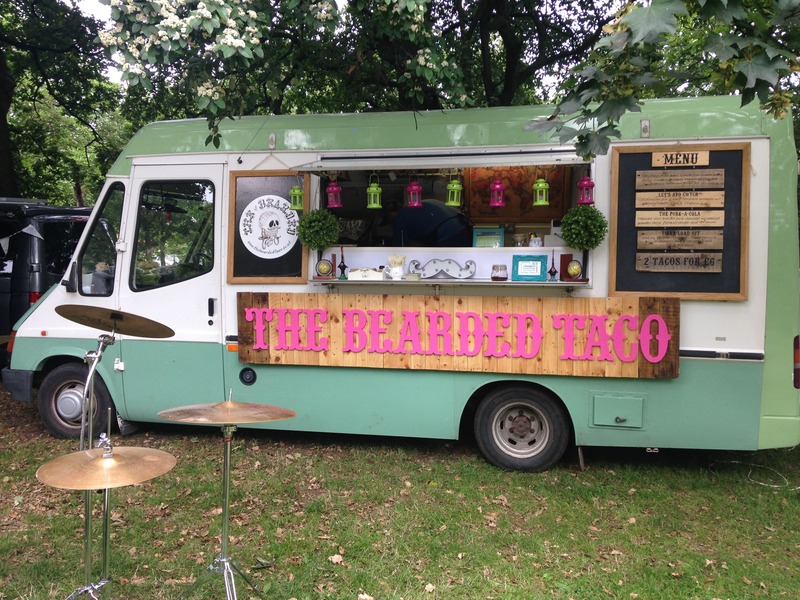 Born from a love of travel, The Bearded Taco is an amalgamation of flavours from all the countries that owners Sian and Jake have visited. 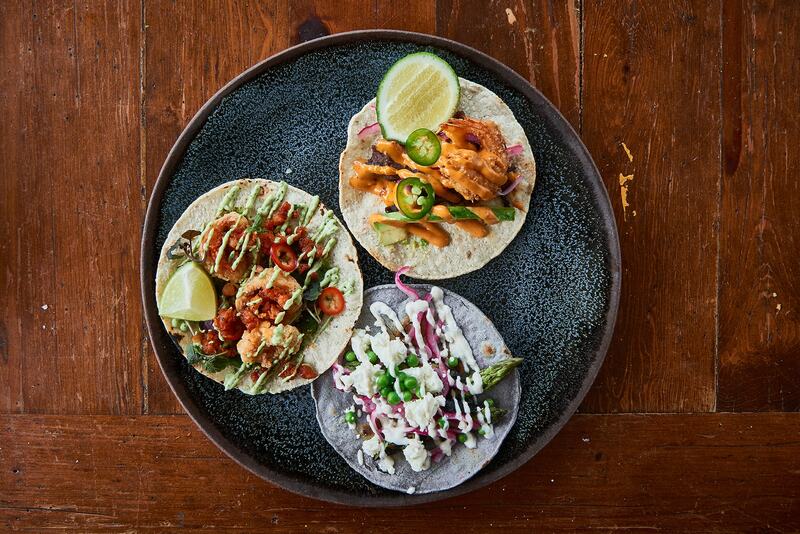 A world away from traditional Mexican street tacos, their handmade menu consists of innovative world flavours built upon a Mexican foundation, like their Moroccan chicken taco. All their delicious food is served from Contessa, a Ford transit van that used to be a police riot wagon. 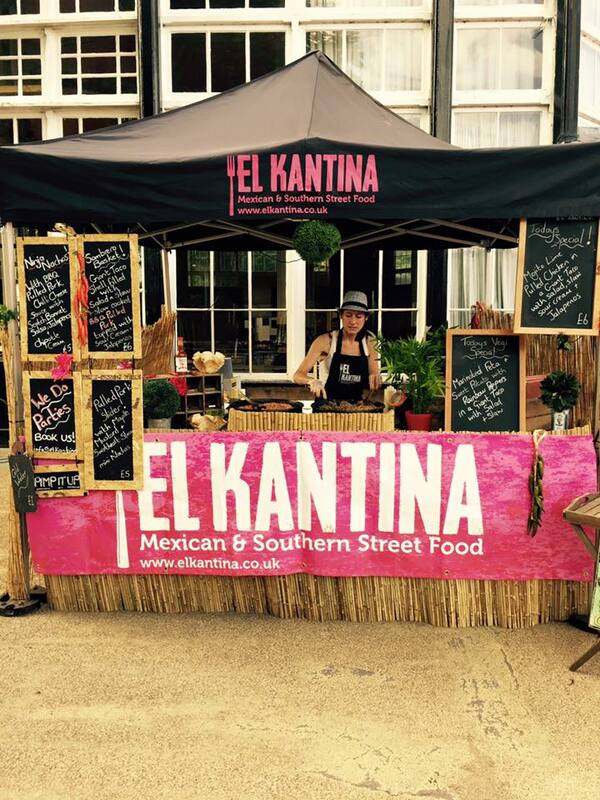 A fusion of Mexican and Southern street food set in the heart of Yorkshire, El Kantina make mouthwatering food, like their chilli chorizo nachos and slow-cooked pork tacos, using only the best ingredients available in Yorkshire. They also offer veggie and vegan menus, serving everything from their awesome trailer or colourful market stall. 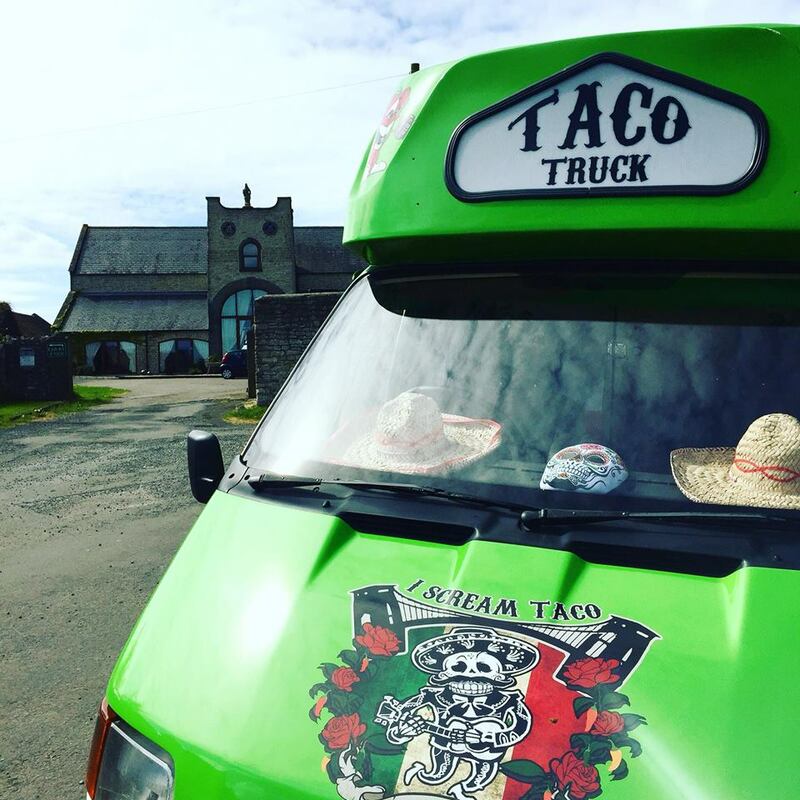 I Scream Taco serve 100% gluten-free Mexican street food from their incredible green 1986 Ford Transit ice cream van, tailored their creative menus for each event and producing enough tasty tacos for up to 300 people if needed for large events. Their food is hearty and complex, like smoked chipotle chicken, spicy pork and their 5 bean chilli taco, which is brimming with flavour! 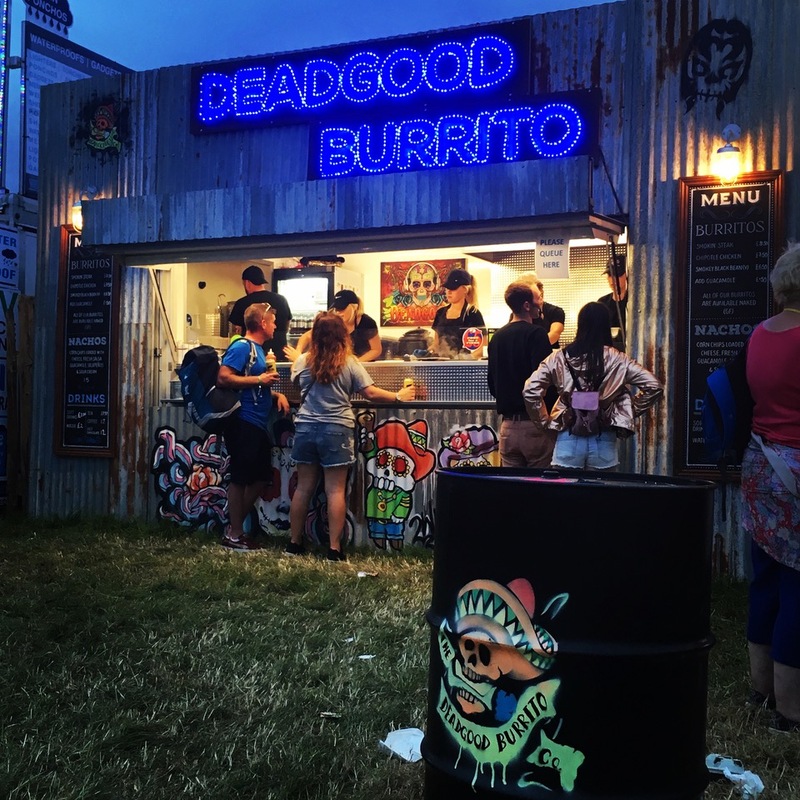 Mexican food freshly made to order with tonnes of flavour, DeadGood Burrito are a festival favourite and have been proudly named ‘best burritos in Brighton’. Don’t fancy a burrito? Their tacos and loaded nachos are also pretty great and all use sauces, marinades and salsas that made 100% from scratch in house. 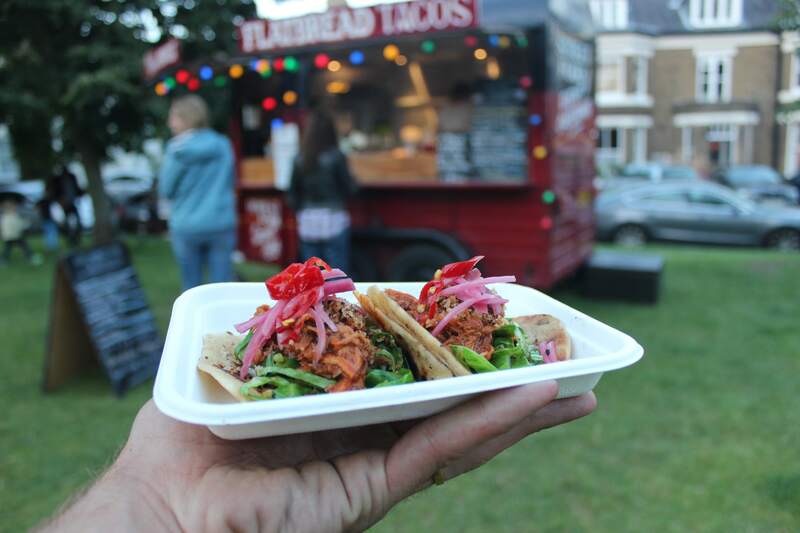 Margarita Garcia is the brainchild of Hola Guacamole, one of London’s best Mexican catering options, serving excellent burritos, quesadillas and tacos from their striking black vintage Citroen food truck. Their menu includes tender steak, pork pibil, juicy grilled chicken and of course, freshly homemade guacamole and salsa. We love their depth of flavour achieved by the high quality ingredients they use. 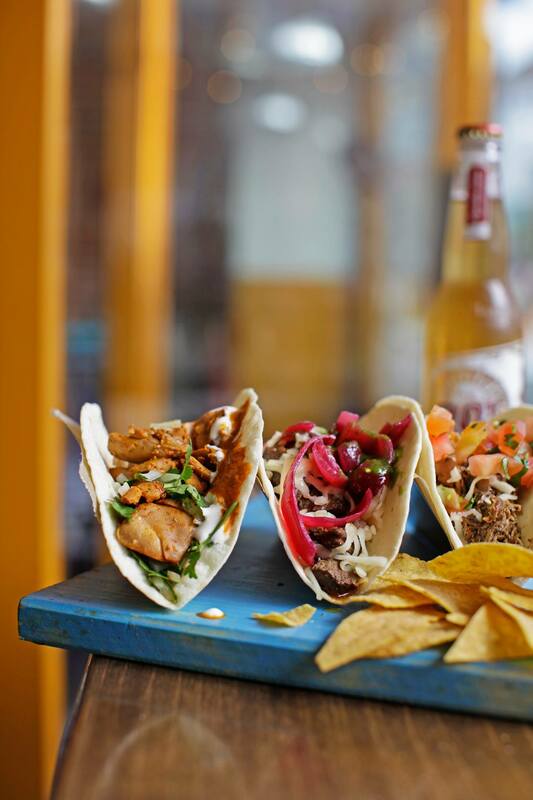 One of London’s favourite Mexican joints, Benito’s Hat specialise in delicious burritos, tacos, salads, Mexican beers and margaritas. They’re incredibly adaptable and can adapt their set up and menu for any kind of event. We especially love their street tacos, the achiote-braised chicken is to die for. 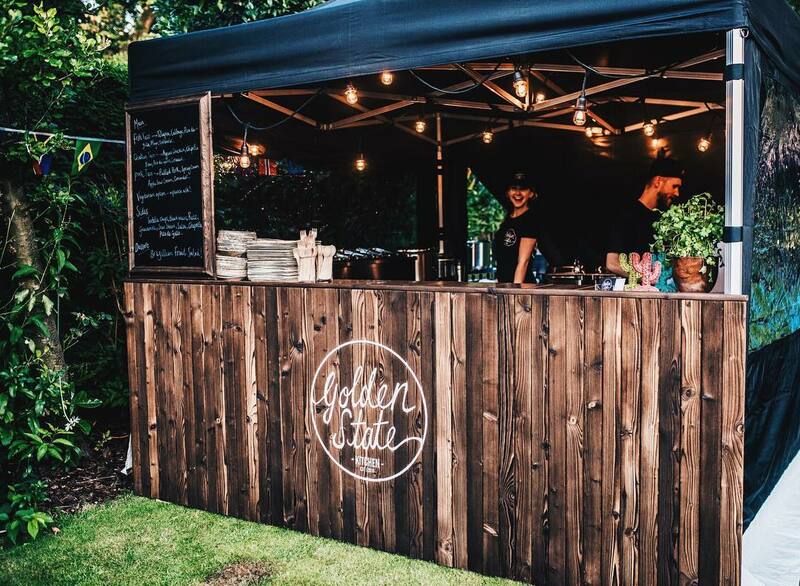 A beautifully versatile mobile caterer, Golden State Kitchen have combined their love of travel and food to serve up the most simple, fresh and incredibly tasty food. 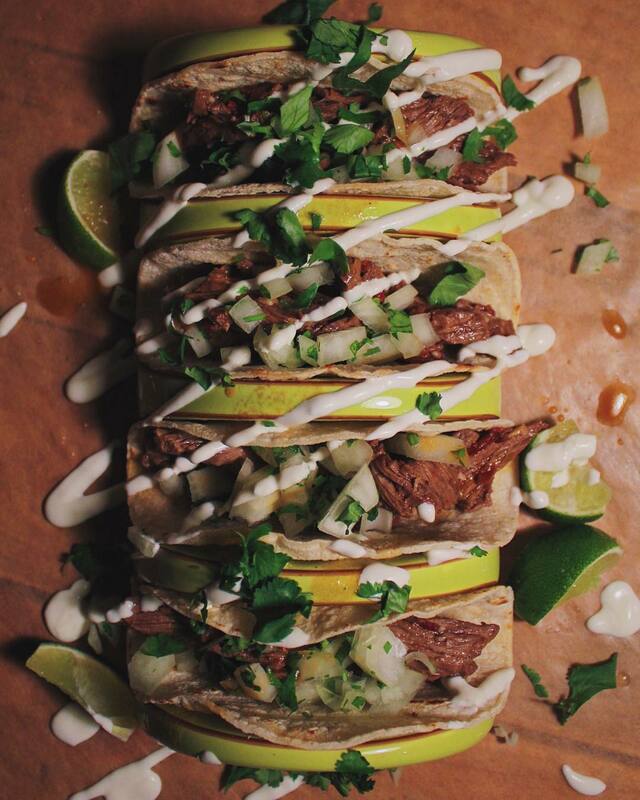 These guys specialise in Californian street food, so as you can imagine their tacos are seriously good. We absolutely love their fish tacos, made with fresh hake, white cabbage, pico de gallo and lime juice. Their delicate but still pack a punch in the flavour department! 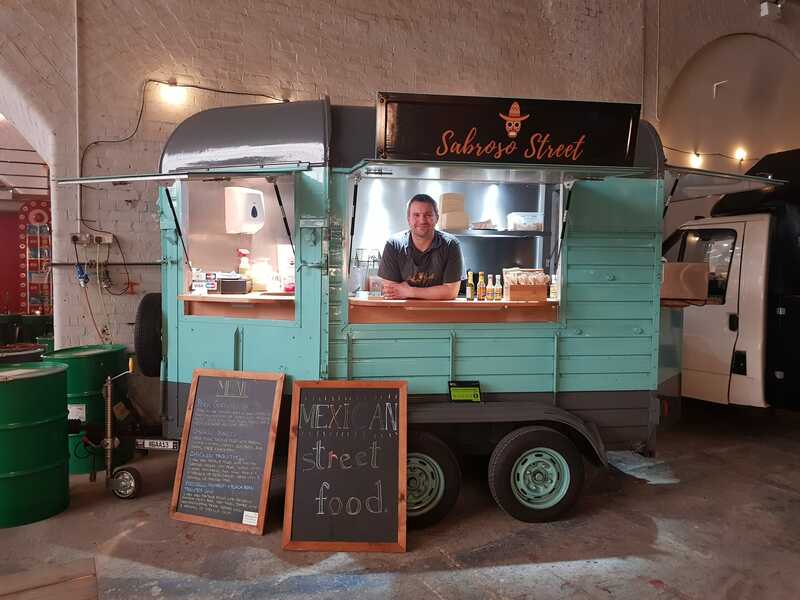 Inside this beautiful little mint-coloured horsebox trailer, the Sabroso Street team cook up a storm, creating their Mexican inspired menu exclusively from locally sourced and wonderfully fresh ingredients! We love their traditional flautas and esquites, and their tacos and burritos are also incredibly tasty. Sabroso Street can also whip up creative sharing boards for your event, working with you to come up with the perfect menu. 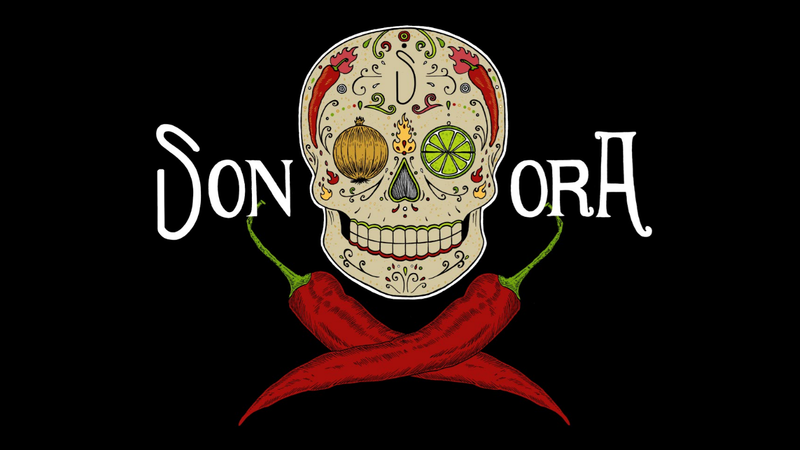 Sonora Tacos have fully embraced gourmet Mexican street food, creating sumptuous food based on the right heritage of Western Mexico’s sonoran people. They serve the freshest tortas, tacos, quesadillas and burritos from their converted Renault master LoLoader, exclusively using produce straight from local farms, in order to encapsulate the taste and culture of Mexican food. 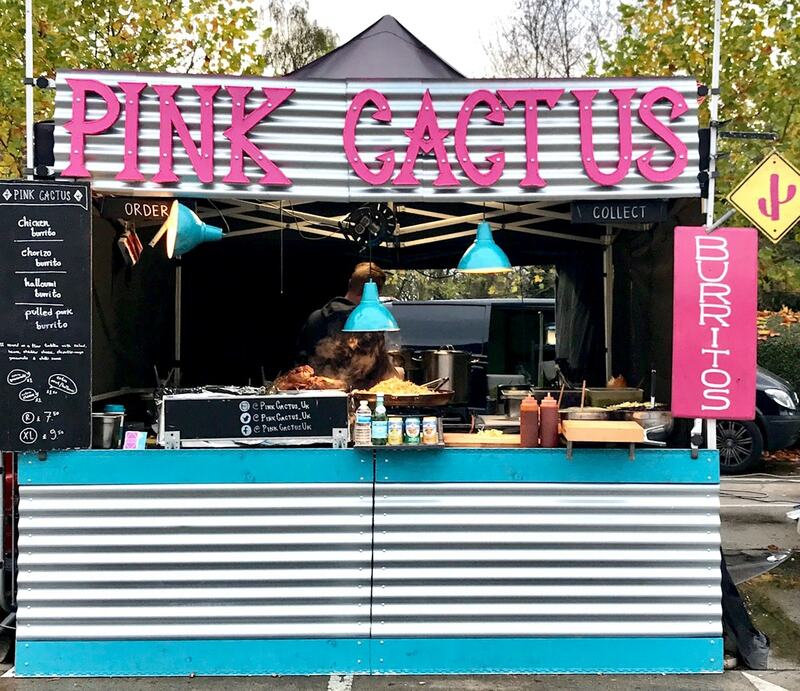 Serving from a cheerful and bright market stall, Pink Cactus specialise in Feast It’s favourite Mexican food, tacos! 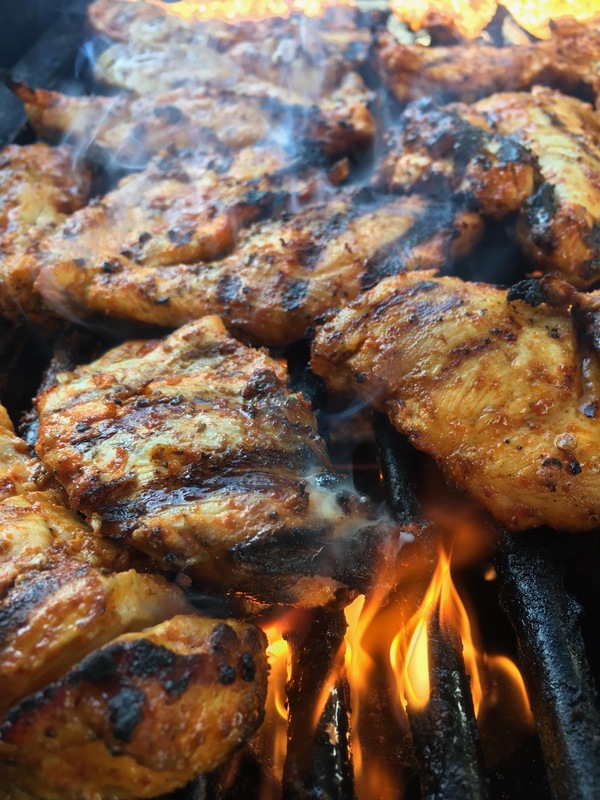 They aim to make authentic food like you would find being cooked on the street in Mexico, as well as making all their own sauces. The passionate chefs behind Pink Cactus, Elsa and Michal, have a real enthusiasm for Mexican cuisine and it shows in their delicious food. These are just 12 of the creative caterers that you can book on Feast It for weddings, parties, office lunches and more. Why not check out our collection of the country's finest mobile bars, from bespoke gin cocktails to craft beer? You can also book staffing, floristry and photography for your event on Feast It, so fill out a simple enquiry form today to get a quote!